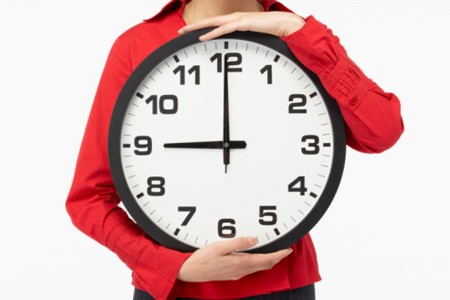 In this article on “Time Management” we will be taking a different approach. If you are like me, you don’t want to hear how much each wasted minute or hour is costing you. It’s bad enough that you don’t feel like you have enough time, it’s even worse to be told that you are wasting that small allocation that you do have. So instead of dwelling on the negative side of this issue, let’s see what can be done to get rid of the feeling that you are a slave to time. Let’s face it – the bottom line on management of any kind is workability. That goes for time as well. The solution to time management is not supposed to make you feel worse; otherwise you will just waste even more time beating yourself up. It then becomes as silly as the game of crying over spilled milk. Let me assure you, crying never resulted in the milk suddenly jumping up from the floor and landing in the glass. Instead let’s focus on what we can do to conquer that old problem of time management. Now that I have promised an article on time management, let me say that you can’t manage time. You only have so much of it and that’s it. You can, however, manage yourself, your activities, your staff and your priorities. Managing these will of course make it seem like you are managing time. In fact, done well, you can appear to be a genius at time management. Before we get into some specific steps to help with your time management, I would like you to observe your activities and those of the people around you. You will probably notice that there are some people who seem quite good at time management and then there are those who seem to have no time to do even the simplest tasks. How often have you wondered why it takes so long to get something done? You plan out your day or the project, you figure out what you or your staff will accomplish, but somehow it takes much longer than you expected. If it’s your own project you may simply get mad at yourself or wonder where the time went. When it’s your staff that takes much longer than expected, you wonder if you have the right people working for you. You see others who seem to effortlessly accomplish all their needed tasks and you get even more frustrated. There are some simple steps you can take to handle the seemingly impossible job of efficiently getting things done. In addition to defining the task or project, and planning the right amount of time to get the job done, you need to learn the fine art of doing what you’re doing when you’re doing it. We often pride ourselves on our ability to “multi-task”, but you need to look at what that can do to your productivity and the productivity of your staff. Although it is sometimes important to handle multiple tasks and to juggle things, it can also keep you from being as productive as you need to be. Ask yourself how many times you stop what you are doing while trying to get something done. How often do you allow interruptions, or even worse, interrupt yourself. Keep in mind that all those distractions are really interruptions. To the degree that you allow or promote the constant interruption style of work, you are impacting your ability to get things done efficiently. If we look at the way we often work or ask our staff to work, we will see that we often follow the pattern of “start, change, start something else, find something else to do and then perhaps back to where we started”. That pattern not only confuses us, it often frustrates our staff who want to be able to complete what they started. Unfortunately we underestimate the cost in both time and money of interrupted work cycles. I am not suggesting that you shouldn’t ever allow interruptions or handle critical situations, but I am suggesting that they must be limited. To the degree that you can concentrate your attention and the attention of your staff on the task at hand, you will increase productivity. This increase in productivity will lead to higher morale and the ability to accomplish even more. As you efficiently complete more cycles of action it will actually feel as though you are manufacturing time. If you are truly doing what you are doing when you are doing it then you will be able to concentrate on the activity you are engaged in, whether it is a work related task or a fun activity. By completing your cycles of action and creating written plans for the other work you must do, you can keep them out of your head and thus be able to concentrate on what you are doing at the moment. This ability to focus will lead to better production and more enjoyable leisure activities. 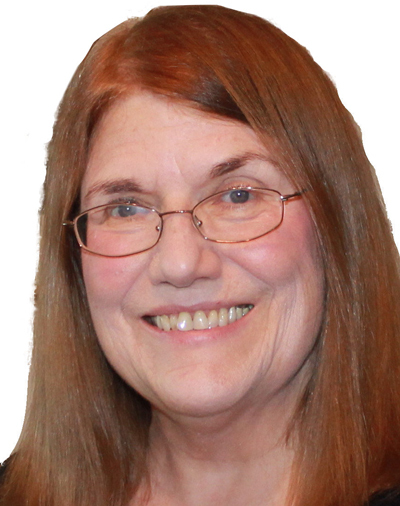 About the author: Lorraine Hart is the president and senior consultant for Ideal Consulting Services who have been providing business consulting, coaching and training to small businesses in the construction industry since 1992. She is a national member of NARI and is also a regular contributor to the Texas Home and Garden blog and the coordinator and editor of the weekly home articles for the Houston Chronicle. Lorraine can be reached at 832-569-5079 or http://www.idealconsulting.net. Great post. If there is something I need to improve about is about time management. I waste a lot of time everyday replying emails and other staffs that don’t let me focus on the important thing.